Edith, Martins wife, sent this photo of herself and their daughter to Martin in March 1919, after he asked her for a photo of both of them. “Take good care of yourself and baby and don’t worry about me for I am alright and I am getting all I want to eat and a good place to sleep,” wrote Lawrence Luther Martin to his wife, Edith, from Siberia on May 5, 1919, seven months into his eight-month deployment. Lawrence and Edith, both Park City natives, had been married not quite two years. 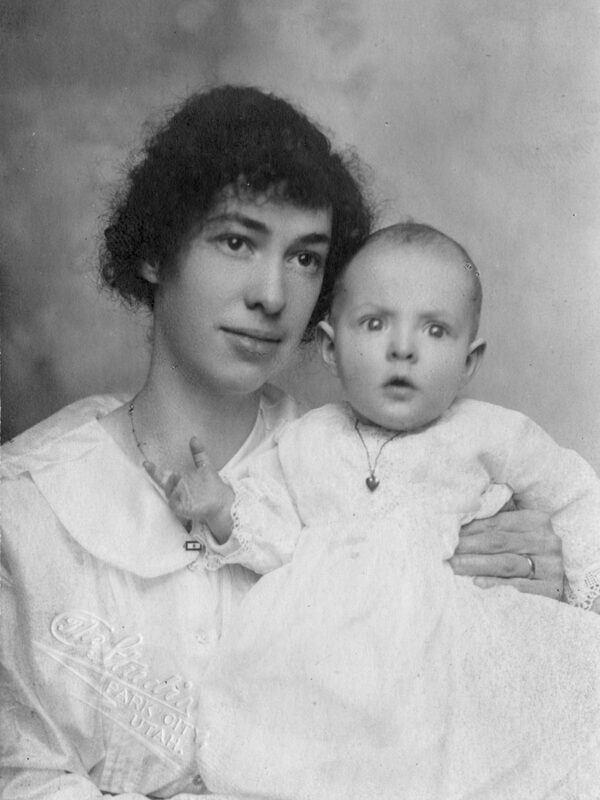 Edith had given birth to their daughter, Florence, in June 1918 while Martin was training at Camp Fremont in California. Although Martin and the rest of his infantry never saw combat, they had a significant role in the war. The men of the 31st guarded the Trans-Siberian Railway, ensuring the Bolsheviks would not have access to supplies. In a diary entry dated November 1918, Martin recalled having to guard cars carrying beef from his camp to a nearby town. While on duty, he “damned near froze.” Supply cars were not all Martin guarded, however. Many of his diary entries consisted of notes about guarding German prisoners at a nearby camp. “I had them onloading [sic] flour and hay and groceries of all kinds,” Martin wrote. After eight months, Lawrence Martin departed Vladivostok, Siberia on June 1, 1919. After traveling for 45 days through Japan, Hong Kong, the Philippines and Hawaii, he finally arrived in Park City and reunited with Edith, Florence, and the rest of his family at the end of July. Martin went on to work in the Park City mines. He and Edith had another daughter, Mary, in 1928. He passed away in 1979 at the age of 90.